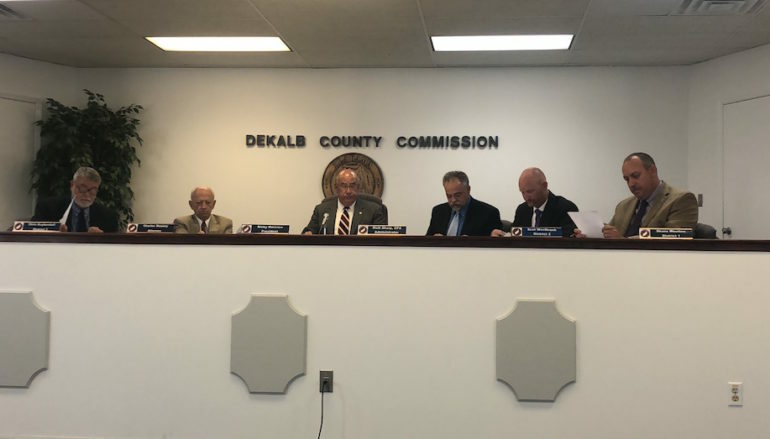 FORT PAYNE, Ala. — (Full Video Below) The DeKalb County Commission held their regularly scheduled meeting on June 12, 2018. The Road Department updated the Commission on their maintenance, hiring temporary employees for the summer, and surplusing 12 extra vehicles. Road Department Superintendent Tom Broyles addressed the Commission regarding the maintenance throughout the county. He reported that the first round of herbicide application and bush hogging was complete. The department had been hauling chert in District 2 and made preparations to do approach work on a new bridge on County Road 212. The Commission also approved Broyles request to hire Drake Casey and Lewis Hall as temporary employees for the summer. Engineering gave an update on phase three of the Shankles Ridge subdivision. They also awarded the bid for CMP pipe to Contech for $35,305.92 and the A/C Storage Tank bid to North Alabama Tank for $51,550 for the project on Highway 75 in Henagar for a new asphalt storage tank and chip house to store materials. 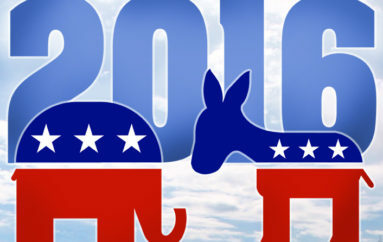 The Commission approved the County Road 212 Paving Proposal bid to Wiregrass Construction. The Revenue Commission and Sheriff’s Office announced personnel changes. The District Attorney’s Office approved summer work. 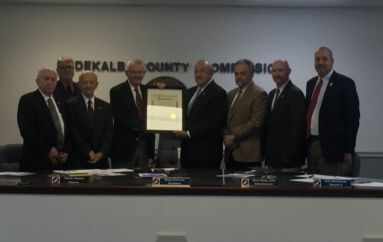 The next meeting of the DeKalb County Commission will be held on June 22, 2018. 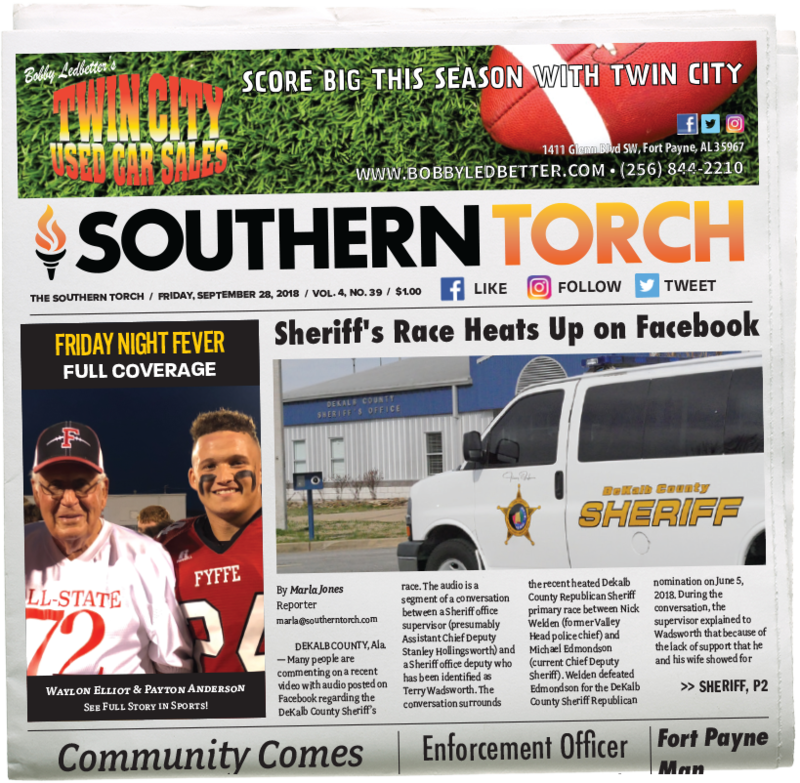 For a full story, check out this week’s issue of the Southern Torch.